Ep. 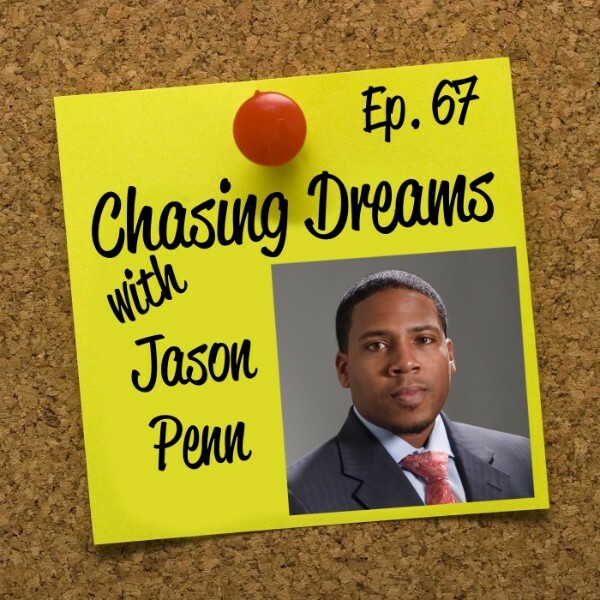 67: Jason Penn – When You Have a Dream, You Just Have To Do It | Aimee J.
Jason B. Penn is a partner with Janet, Jenner & Suggs, LLC and has expertise in representing people injured by serious medical negligence. Jason has turned his previous experience as a medical malpractice defense lawyer at a leading defense firm into a successful practice for plaintiffs in medical malpractice litigation. Jason regularly litigates against physicians, hospitals and nursing homes in cases involving birth injury and trauma, cerebral palsy, brain damage, cancer misdiagnosis and other medical illness. In 2015, he was named as Maryland’s Finest Young Professionals by the Cystic Fibrosis Foundation. The Maryland’s Finest are selected based on their exemplary leadership, activity in the community and their demonstration of excellence in their profession or business. How do you discover your dream? How do you discover your dream, the one thing that drives or motivates you? You might think of a dream as something you latch onto at an early age, or maybe you think of it as a passion that wells up from deep down inside you. Have you ever thought of your dream as something you can discover along the way? 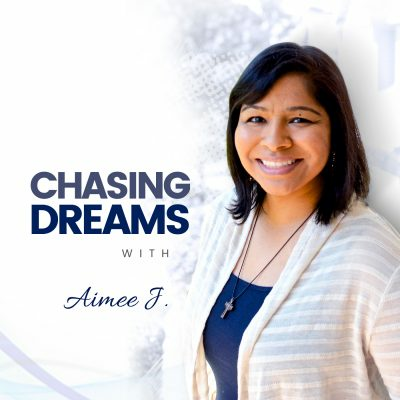 In this episode of Chasing Dreams, Aimee talks with her friend Jason Penn about how he discovered his dream. What Jason learned might be the missing piece you’ve been waiting for. Don’t miss out on his inspiring story and helpful insights! You’ve heard of the Golden Rule “do unto others as you would have them do unto you”. Imagine what the world would look like if everyone lived that out. Pursuing your dreams doesn’t have to mean that people get left behind in the process. What if you can pursue success AND show people that they matter? On this episode of Chasing Dreams, you’ll hear from Jason Penn as he shares about how the little things like a personal handwritten note or a Starbuck’s gift card can go a long way in showing people that you care. #LittleThings can make a #HugeDifference! Sometimes success seems unattainable, especially when you try to excel in the workplace and have a life outside it. Can you have out of this world success and still have a life? How does business, life, and everything in between work in harmony? 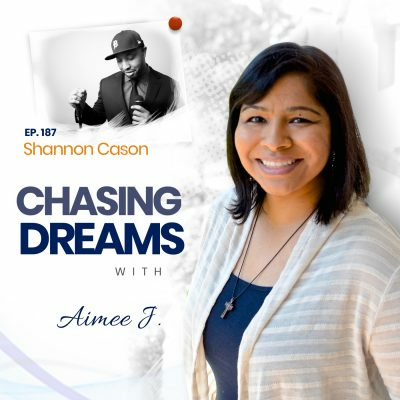 Listen to this episode of Chasing Dreams, as Aimee talks with Jason Penn about what really matters in life and how he makes it work. Jason shares some great tips on how to pursue success and still enjoy life, don’t miss out! Most people would be thrilled about tackling the big dream they have in life, but what about the other dreams you have? Your initial dream can loom so large, take up so much focus in life, you might wonder, is it realistic to pursue multiple dreams? Jason Penn is pursuing multiple dreams! He’s excelling in his work with advocacy law AND he’s chasing his passion for fishing. Jason believes that everyone should listen to and act upon the dreams you discover along the way. His conviction is act now, there is no better time than the present! Jason’s advice might be the “ah ha moment” you’ve been waiting for! #Multiple #dreams can be #accomplished with #equal #passion! [1:13] Aimee’s introduction to this episode with her friend Jason Penn. [3:01] Jason talks about his work with advocacy. [9:45] Who helped Jason pursue his dreams? [11:26] How Jason gives back, who he helps. [14:18] Jason talks about why he chose to work in advocacy law. [18:49] Taking time to add that personal touch. [22:08] The little things can go a long way. [24:20] How does Jason balance work, life, and everything in between? [30:47] How to you pursue multiple dreams? [32:02] A simple practice to start your week off in the right direction. [43:20] Jason’s advice for those who want to chase their dreams. You need to know deep down what your dream is, define it for yourself! Don’t let others define it for you. Once you have that settled, get out there, take the steps, and just do it! How do you #discover your #dreams?